The Lijiang Hotel provides a great place for travelers to relax after a busy day. Visitors to Lijiang will find that the Lijiang Hotel is a fantastic accommodation choice. 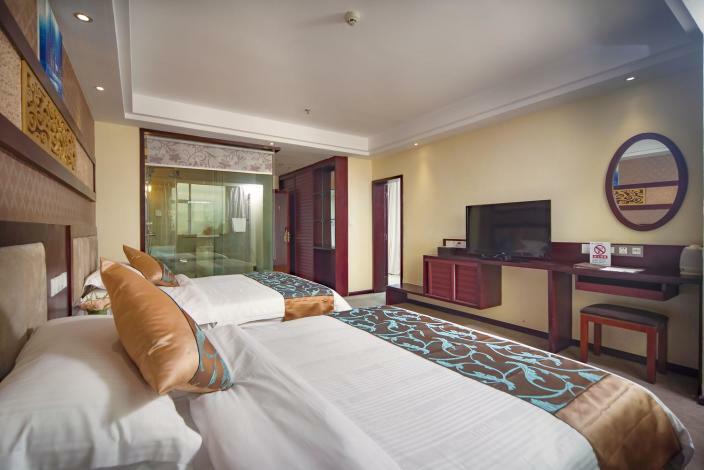 The hotel is conveniently located just 9km from Lijiang Railway Station and 29km from Sanyi Airport. There's plenty to do nearby, with Yican Well, World Famous People Wax Museum and YuMiHe ShangYe BuXingJie all within a short distance. At the end of a busy day, travelers can unwind and relax in the hotel or go out and enjoy the city. Guests of this Lijiang hotel can make use of the parking facilities.